Family gathering. Now the last of the new Vostro notebooks, the Vostro 3450, also comes to us. The compact notebook is at the start with a 14 inch screen and AMD's new switchable graphics. 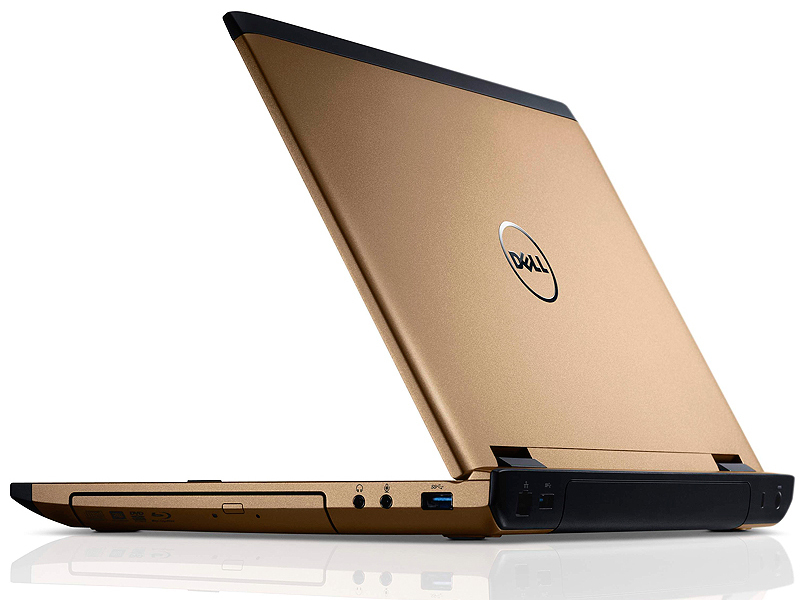 Dell seems to have struck the right balance between style and substance with this Vostro 3450 model. Moreover, this laptop's various features will appeal to certain professionals and even home users. Dell's done a good job with the latest version of the Vostro. It looks miles better than the average small business laptop, with a unique shape and a comfortable keyboard. The Sandy Bridge i5 combination works well, and gives you all the performance you need - and with the mix of ports, you're able to connect anything you want. Nearly all business and no nonsense, the Vostro 3450 is the ideal first machine for a new business or for a home office. The Vostro 3450 certainly has a lot of things going for it and features that will appeal to students and small business buyers. The price is definitely right, for $500 something you get the latest Intel Core i5 processor technology, a fast 7200RPM hard drive, an ample 4GB of RAM and highly durable laptop. The screen is great, the look of the laptop is appealing and offers color customization and the backlit keyboard not only looks fantastic but is a pleasure to use. The battery life of close to 5 hours is also very good and an important factor for those on the go. If you like to have lots of ports and the latest port technology you’re well taken care of with the Vostro 3450. On the downside the Vostro 3450 is quite heavy and thick for its class, it could be more bulky that some students will want to carry. The amount of heat and noise the Vostro 3450 generates is also disappointing, given the weight and heat buildup it’s ironically not a great laptop to use in the lap. While I prefer the ThinkPad Edge E420 as an option for a 14” small business computer, the Dell Vostro 3450 is still a good choice and has unique features that will fit better with some users needs. AMD Radeon HD 6630M: Successor of the slow clocked (low power) versions of the Mobility Radeon HD 5650 with more cores, UVD3 processor and Eyefinity+.» Further information can be found in our Comparison of Mobile Graphics Cards and the corresponding Benchmark List. 79%: This rating is not convincing. The laptop is evaluated below average, this is not really a recommendation for purchase.» Further information can be found in our Notebook Purchase Guide.